For quite some time, Ottawa had a reputation for being a sleepy government town. Clean, orderly, well looked after, and not many employment opportunities much beyond the federal government and the sectors that support it. In 2018 and looking ahead to next year, this idea could not be further from the reality in this rapidly growing city. 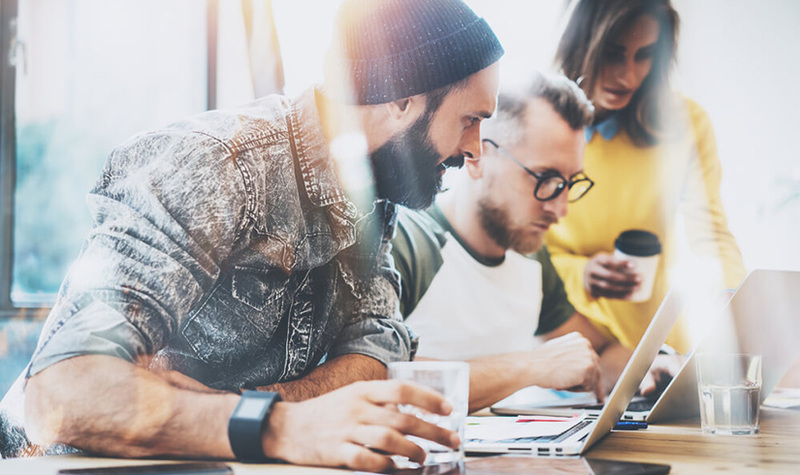 In recent years, Ottawa has transformed from a capital that is continually working to draw new talent, to a destination for talented people looking to build a career and create a life. As we look forward to 2019, there are numerous reasons to feel highly optimistic about the job market in Ottawa. Moreover, it’s about so much more than just the work. To start, Ottawa is quickly becoming recognized across Canada as a ‘Goldilocks’ city. It’s big, but not so big that you’re stuck in traffic for two hours a day. It’s small, but not so small that there’s nothing to do. The metro area has a population of 1.3 million people making it the fourth-largest city and the fifth-largest CMA (census metropolitan area) in Canada. This translates into having all the niceties you expect to find in a big city: culture, major league sports, and world-class dining, but is still able to hold onto some of that small town feel. It has many of the great things Toronto and Vancouver do, without a lot of the problems or the massive costs of living. Further to this, while salaries are not quite at the same level as what you’ll find in the GTA, frankly, with housing costs only about half of those you’ll find in Hogtown, they don’t have to be! 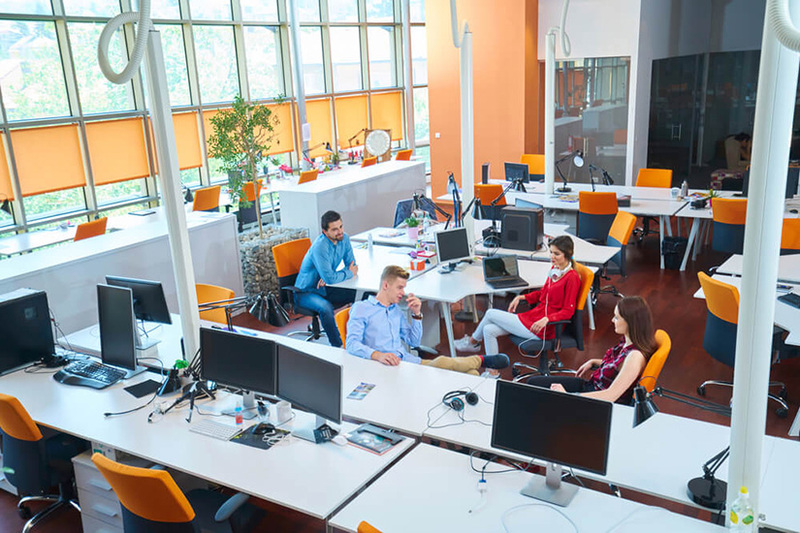 As an Ottawa staffing agency, we have a pretty good idea of what’s happening in the local economy and what we can look ahead to in the Ottawa Job market in 2019. This year we are on track to grow 133% in revenue, year over year and since 2016, we have seen 171% of revenue growth. Simply said, this translates into the fact that we are seeing increased job listings for permanent, contract and temporary positions across the board. While much of our growth has come from providing superior service to both our clients and candidates, there’s no question that we are in the midst of a significant expansion of the Ottawa job market. But don’t just take our word for it. In Bank of Montreal’s latest report on the Canadian labour market, Ottawa tops the list of all cities in Canada in their ranking of labour market attractiveness. It’s been quite the reversal from only five years ago, where Western Canadian cities such as Calgary, Edmonton and Regina dominated the top of the list. With salaries rising nearly across every sector, and quality labour still in short-supply, Ottawa is poised to be a fantastic place for job seekers in 2019. So, thinking about the future of the Ottawa job market, let’s begin with the thing that’s taking up a lot of the headlines. For lots of excellent reasons the tech sector is booming again in Ottawa, and unlike in the past, it’s not based on a speculative bubble. Given Ottawa’s connection to the Federal Government and its easy access to North American and even international markets, it’s fast becoming the place tech companies want to have an office. This, of course, has a knock on effect of bringing a lot of tech talent to the area, and when you have lots of tech people working together, you invariably end up with some of them breaking off and creating a vibrant startup culture. So what does a city full of start-ups and tech talent attract? Even more established firms that want to locate close to an expanding talent pool and hot market. All that to say, being a tech company in Ottawa means you get it all in pretty short order. You can see this very clearly by looking at the numbers. Tech workers are approximately 7.7 % of the Ottawa workforce, and by comparison, Montreal, Toronto, Vancouver, and Kitchener-Waterloo were all in the 5.8 to 5.3 percent range. 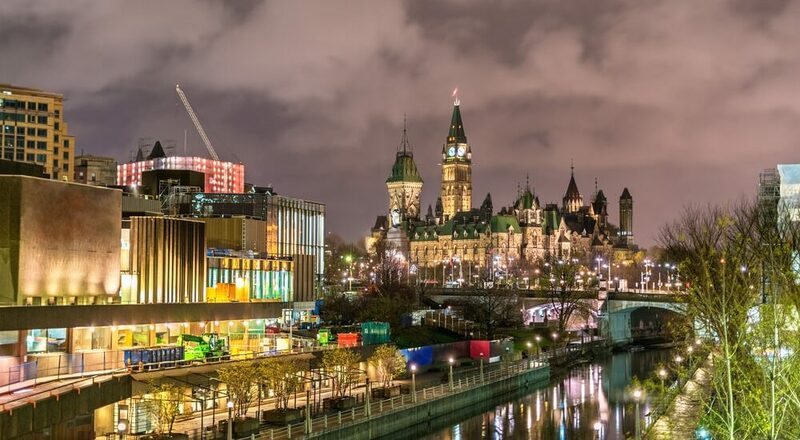 Unlike many other tech-savvy areas, Ottawa is one of the most diverse tech hubs in North America, boasting extensive expertise in SaaS, Artificial Intelligence, Autonomous Vehicles, Next Generation Networks, 5G, Cyber Security, Digital Media, Biotechnology and more. It’s also important to note that Ottawa leads the nation in R&D spending per capita and accounts for 90% of Canada’s industrial telecommunications research and development. Having all that development capacity might be for not, if it wasn’t also paired with commercialization expertise in groups like the Centre for Next Generation Networks (CENGN) and a handful of incubators and accelerators such as Lead to Win, Startup Garage, The Code Factory, Invest Ottawa, and L-SPARK. Tech innovation, development, and commercialization is thriving in Ottawa. When you have more than 1,750 technology companies, including international heavyweights such as IBM, Apple, Microsoft, Nokia, and Huawei not to mention homegrown champions such as Shopify, You.i TV, Spartan BioScience and QNX it’s easy to get overly focused on the tech sector. It’s almost the same as when people used to say that Ottawa was nothing more than a government town. The truth is, the Capital region is alive and thriving in a variety of labour markets. While tech has quickly become one of the largest areas for growth, it also brings with it every other position possible to allow a successful enterprise to function. In the last number of years, we’ve seen a dramatic spike in the level of Finance, Accounting & Payroll, Legal, Admin, and Marketing & Communications positions right here in Ottawa. Some of the most in-demand opportunities are actually for engineers, the construction trades, and logistics professionals. Exhibit A of-course is the new Amazon Warehouse set to open in Ottawa and bring an additional 1,000 jobs to the area. In a cosmopolitan city like this, we are finding that much of the talent is already here to help make it a natural choice for companies looking for a new office location. In some cases, these new outfits setting up shop in Ottawa are giving the once unassailable government jobs a serious run for their money. While job opportunities in Ottawa continue to expand in the private sector, it’s hard to ignore the elephant in the room. The Federal Government still makes up more than 18% of the Capital Region workforce and provides a pretty solid employment base for the local economy. It’s important to recognize that while many other areas of the Ottawa economy are growing and changing our community, having the Federal Government in town will always provide a significant advantage. First and foremost, we are not in much danger of the Feds closing up shop entirely and relocating to another city. Also, while they do the business of Government in Ottawa, it means we will also be the place where over 130 countries locate their Embassy. For an international company looking to expand, especially a tech company on the cusp of innovations with potential new regulations, having access to the government of the land and the ability for quick conversations with governments all around the world is a pretty big deal. Also, being the epicentre of official Canadian bilingualism adds just one more feature to attract European multinationals looking to expand (Ottawa’s bilingual rate is 44%). So while the government is no longer the only game in town, it’s a pretty great advantage for us to have. Ottawa has four post-secondary institutions, two Universities, and two Colleges, all training highly skilled students from around the world. Recently graduated students are looking for an opportunity to put down roots and cut their teeth in their chosen profession. If their alma mater can provide them with career placement, and the potential to turn it into a full-time position, this means a steady stream of new, young, and skilled workers coming into the area. Not to mention a healthy supply of student employees looking to work their way through school provides a reliable temporary workforce and fresh faces for those entry-level positions. It’s also worth noting that over the last number of years about 20% of graduates are in the STEM (Science, Technology, Engineering, and Math) field, a perfect fit for a city with a rapidly expanding tech sector. Ottawa now has the second highest concentration of scientists and engineers in North America. A big factor in drawing talent to Ottawa more than any other tech city is, quite simply, the quality of life you can afford to have. The Capital Region continues to boast the second highest family income among major Canadian cities, with the median family income at $102,000, while maintaining a very affordable housing market with the average house costing $394,000. Living in Ottawa means not only can you make a good salary, but those dollars will stretch more than other large cities in the country. To compare, Vancouver has a median family income of $72,662 and an average house price of $1,830,956. Of course, if you’re locating an office in Ottawa, it’s also pretty cost effective. Total business tax costs in Canada are the lowest in the G7, and as Canada’s most affordable place to live among large North American cities, Ottawa offers competitive business costs for talent acquisition and research and development, all supported by competitive government incentives. This includes major funding programs such as the Scientific Research and Experimental Development Program (SR&ED), Industrial Research Assistance Program (IRAP) and Jobs & Prosperity Fund. You already know that. However, it’s worth mentioning in any review of the job market and local economy that Ottawa has so much more to offer than a good job and affordable housing. The Capital Region, aside from bringing in thousands of visitors every year, needs to have things for those visitors to do. But, besides that, it needs to have things for the more than 1 million folks who have put down roots, started families, and generally gotten pretty attached to the place. Not only are there 14 national museums and 32 art galleries, but also 180 annual food festivals, fairs, and special events. In addition, the city offers more than 850 parks, 800 KMs of biking trails, and more than 430 KMs of cross-country ski trails. No matter if you’re wining and dining international dignitaries, breaking bread on a new business venture, having a much-needed date night, or taking the whole family out for dinner, Ottawa has more than 2,000 restaurants to choose from. All of which could be followed by a night at the theatre, live music, or even several times a year by a fireworks show. A robust economy, with a healthy job market, and affordable places to live are making for the quality of life that’s going to be hard to beat anywhere else in Canada in 2019. So whether you’re looking for a new position, thinking about relocating, or representing a company thinking about expansion, making sure you understand the market inside and out is paramount. It’s precisely why a specialized firm like LRO Staffing exists. Our model has always included a thorough understanding of the Ottawa economic landscape but beyond that, a commitment to getting the right talent in the right place. Our customized approach allows us to take the time needed to ensure the right fit; for job seekers and employers. No matter if you’re looking for contract employees, or trying to land that first or next full-time gig we are here to help you through. As the job market continues to heat up and competitive pressures increase, having the right staffing partner can mean the difference between having your pick and getting simply what’s leftover.